Seeing the close relationship now forming between Turkey and Britain, Germany sold a dreadnought to the Turkish to improve relations. In September 1908, the Young Turks requested the loan of an English admiral to oversee reorganisation of the Turkish fleet. The British considered the loan ‘of the highest political importance’, and sent Rear Admiral Douglas Gamble to the Turkish navy in October of that year. Turkey also employed Admiral Henry Woods to advise them on naval modernisation. Wood’s report on the Turkish navy in 1908 noted its rundown state, and recommended the construction of two armoured cruisers, twelve destroyers, thirty torpedo boats, and eight submarines. Seeing the close relationship now forming between Turkey and Britain, Germany sold a dreadnought to the Turkish to improve relations between the two countries, whilst also offering a loan of TL11 million to Turkey after France and Britain refused. In February 1911, the Turks communicated interest to Armstrong about buying new battleships, and signed a preliminary agreement of an order for two. Armstrong collaborated with Vickers to obtain the contract, with the backing of the British government. In July 1911, in regards to the battleships contract, Vickers very generously permitted the Turkish government six months free credit, payment by ten equal instalments, and arranged the financing of the commencement of construction for the Turks. In an even more generous move, Vickers’ bankers, Glyn Mills, guaranteed advances of £600,000 to the Turks in respect of payment due to Vickers on a warship. In 1911, Vickers had contracts with the Ottomans worth TL2.2 million and promises for a further TL5.5 million in 1913. Turkey also wanted to be able to build its own dreadnoughts and allowed leading British firms to reorganise its dockyards. Vickers, John Brown, and Armstrong combined to exploit contracts in Turkey. Together they established the Imperial Ottoman Docks, Arsenals and Naval Construction Company in 1913, with a capital of £250,000. The Ottomans held the controlling share, and the minority was divided between the British firms. The contract, the like of which had never ‘been made in any country’, expressly stated that only Turkish or British workmen could be employed on the dockyards. In 1913, armament orders in hand for Turkey were equivalent to 84 percent of British manufactured exports to the Ottoman Empire for that year. 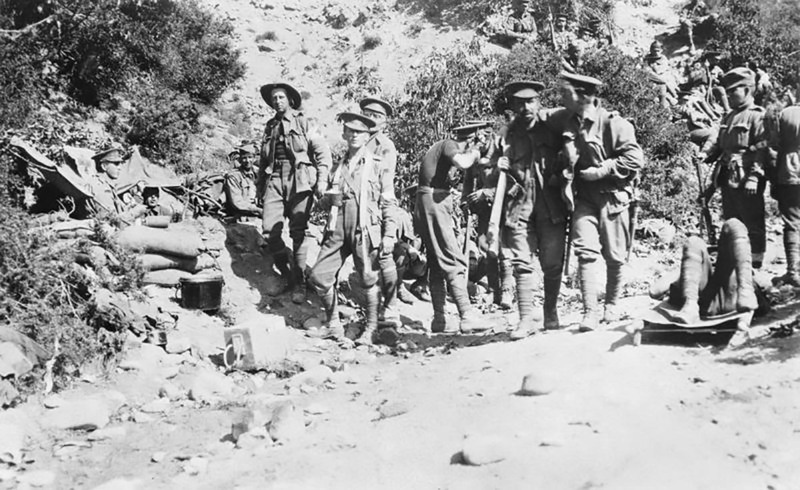 Officially the British government did not take credit for securing the contract for Armstrong Vickers, though they must have hoped it would counter-balance German influence with the Ottomans. MP Philip Morrell pressed the Secretary of State for Foreign Affairs, Edward Grey, to tell the Commons whether this contract was concluded with the `knowledge, assistance, or consent’ of the British government. Evading the question, Grey informed the House that the agreement was ‘a result of private negotiations between the Turkish government and the firms interested’. Surely, Mr. Morrell complained, the government ought to be concerned that a British company was entering into a contract to `increase the armaments of a foreign power’. In early August 1914, Churchill commandeered Sultan Osman and Reşadiye – two battleships bought by the Ottomans from Vickers and Armstrong. 500 Turkish troops had arrived in a steamer at Newcastle on Tyne to sail the ships home, when Churchill made this last minute decision to grab them for the British fleet. This decision – deemed ‘British treachery’ – came with no promise of compensation and helped sway the Turkish people in favour of siding with Germany. In August 1914, the Ottoman Empire signed a treaty of alliance with Germany, and formally entered the First World War on 28th October 1914, with the bombing of Russian Black Sea ports. The Triple Entente, or Allied Powers, declared war on the Ottoman Empire on 4th November. Letters exchanged between Vickers, Armstrong and their other brothers in arms reveal that another first class battleship, two scouts, four torpedo boat destroyers, two twin screw submarine boats and a floating dock were still under construction for the Ottomans when Turkey entered the war. Vickers dropped in on the Admiralty to enquire whether the British wished to take them over! Churchill’s ‘treacherous’ seizure of the battleships Sultan Osman and Reşadiye came with no promise of compensation and helped sway the Turkish people in favour of siding with Germany. Clive Trebilcock insists Vickers and Armstrong were ‘overwhelmed by hostilities before they were ever able to show a profit.’ In a similar vein, Dan van der Vat writes that little progress had been made on regenerating the neglected Ottoman fleet by the time war broke out, owing to the length of time it took to fulfil shipbuilding contracts. However, letters in the Vickers archive, Cambridge show they succeeded in supplying a great deal of ammunition. For example, in December 1909, Vickers signed a contract to supply over £46 million (sterling) worth of projectiles, cordite and other ammunition for a single Ottoman warship – the Messudieh – and guaranteed the cordite would be as good as anything they gave the British Admiralty. Indeed, Basil Zaharoff, a notorious arms dealer for Vickers, used the re-armament of Russia – partly thanks to his own efforts – as a pretext to sell more weapons to the Ottomans. 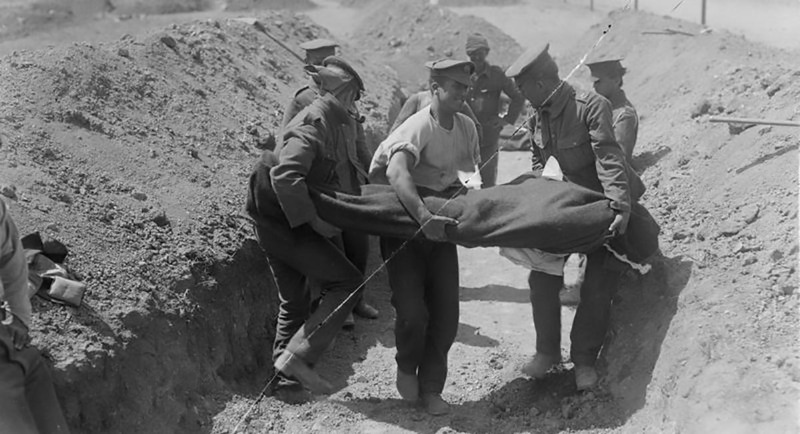 At any rate, it is safe to presume that British ammunition helped decimate Allied troops in the disastrous Gallipoli campaign, during which French, British and Australian troops suffered 285,600 casualties. Read more about Vickers’ exploits in Vickers & Krupp: a Debacle over Royalty Payments to the Enemy.